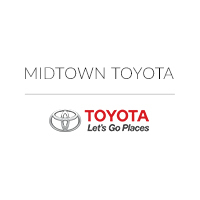 There are many popular cars at Midtown Toyota that we have noticed over the years. Customers know that they can expect a large selection of new Toyota cars when they step onto our lot, but some of these cars are more popular than others. One model that Chicagoland Toyota dealers can agree has been popular through the years is the Toyota Corolla. This small sedan is not only great on efficiency and with plenty of space, but it also has a bundle of great features for the driver and passengers to enjoy on their ride. The 2017 Toyota Corolla has seven trim levels ,which are the L, LE, LE Eco, XLE, SE, SE 50th Anniversary edition, and XSE. The L starts off with standard equipment such as a six-speaker Entune audio system with a 6.1-inch touchscreen, Bluetooth connectivity, and Siri Eyes-Free voice control system. When you get up to the XSE, you get even more features, like the sunroof, heated front seats, and keyless ignition and entry. As for the 50th Anniversary edition, it has anniversary badging, upgraded upholstery and trim with Black Cherry contrast stitching, and gray-painted 17-inch wheels. There are also a few package options for the various trim levels, like the Premium package that adds on Entune Audio Plus, bumper-integrated LED running lights, and 16-inch alloy wheels for the LE and LE Eco. This Toyota car is powered by a 1.8-liter four-cylinder engine. All trim levels except for the LE Eco get 132 hp and 128 lb-ft of torque. The LE Eco gets 140 hp and 126 lb-ft of torque. The Toyota brand is known for its safety on their various vehicles. The Toyota Corolla has a rearview camera standard on all models as well as many other features. The Toyota Safety Sense Plus system is on all trim levels and includes a forward collision warning system with automatic braking, lane departure warning with steering assist, automatic high beams, and pedestrian detection. The SE and XSE trim levels get an upgrade with rear disc brakes. In government crash tests, the Toyota Corolla received the top score of five stars for overall, front impact, and side impact tests. It also received the top score of “Good” from the Insurance Institute for Highway Safety for the moderate-overlap front-impact, side-impact, head restraint, and roof strength tests. We are confident our customers will feel safe in this model. We would be happy to show off this car and the Toyota Avalon in Chicago so hurry over to our dealership near Oak Lawn. Our team can set you up with a test drive so you can be sure you love everything about the Toyota car you are interested in. To give our customers even more options, we are happy to provide a large selection of pre-owned Toyota cars on our lot as well. With all of these models to choose from, we know you will be able to find your next new car on our lot when you come in.